Wholesale Supplier of a wide range of products which include real time remote monitoring system, production monitoring system, remote monitoring system for street light application and industry 4.0 monitoring system. We are offering Real-Time Remote Monitoring System to our client.Together with this, the personnel sent by us for providing these products and services are well known with the understanding of this business realm and are delivering these products and services as per the necessities of our patrons. 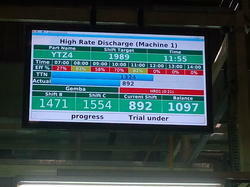 We are offering Production Monitoring System to our client. Together with this, the personnel sent by us for providing these products and services are well known with the understanding of this business realm and are delivering these products and services as per the necessities of our patrons. We can provide Remote Monitoring System for street light application to our clients. Communication: Modbus Rs485, Modbus TCP. 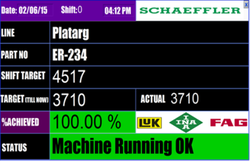 We are offering Industry 4.0 Monitoring System as per customer requirement. Together with this, the personnel sent by us for providing these products and services are well known with the understanding of this business realm and are delivering these products and services as per the necessities of our patrons.